Koch Media, Raiser Games, and U-Play Online have announced that YouTubers Life: OMG Edition’s Nintendo Switch physical release will come to European retailers next month. There’s also a new software update that will become available soon, which will introduce some gameplay changes. You can start monetizing your videos as soon as you get to 500 subscribers, while a new collaborators system adds new management elements. You will have to negotiate contracts with friends, with quests and other activities rewarding you with Charisma Points that you can use to buy cards that reflect your character’s style and how you behave in front of the camera. 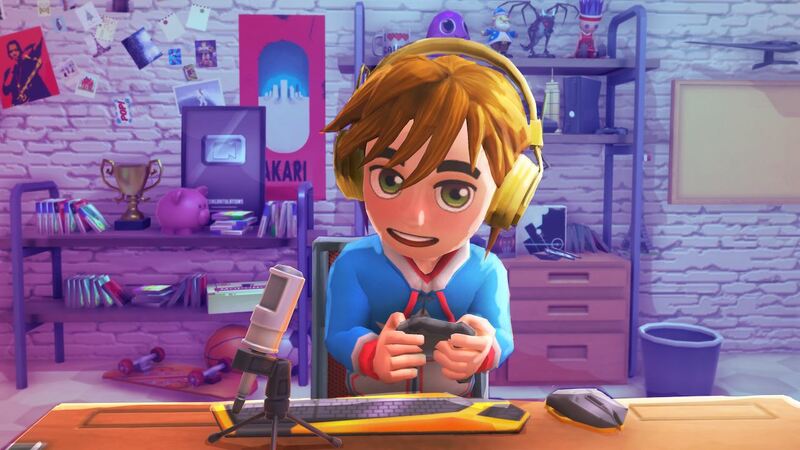 Having already sold more than one million copies, YouTubers Life: OMG Edition presents the chance for you to become the most successful YouTuber on the planet. You will be in your parents’ house when you gain your first subscribers, views, and likes. But, as your hard work sees you gain fame and fortune to become a popular influencer, the money that you make from your videos and the deals you sign with exclusive networks will eventually let you buy a mansion in outer space. YouTubers Life: OMG Edition is now available on the Nintendo eShop for Nintendo Switch worldwide, and will release at retail in Europe on April 5th priced at £29.99.